In this letter sent out to citizens’ networks in Bengaluru, Mohandas Pai, former Infosys Director and currently Vice President of the Bangalore Political Action Committee, is exhorting citizens to register enmass as voters for the coming state elections. 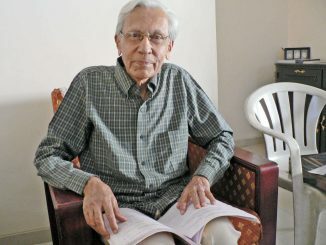 In a candid conversation, Lok Satta party leader Jayaprakash Narayan, as he shares his thoughts on the chances for his candidates in the Karnataka elections, as well as for an overall reform movement in Indian politics. Travelling in the city even by BMTC is expensive especially for citizens who are not well-off. But there seem to be few alternatives. 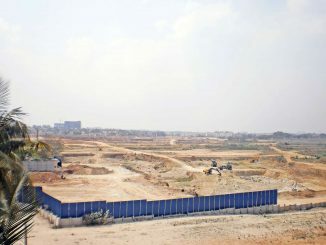 At the edge of Koramangala, a massive 72-acre real estate project is on. It includes apartments, an SEZ, office space, hotels and more, all needing 4.5 million litres of water a day. A Citizen Matters investigation, released with Suvarna News, has exposed how the project got environmental clearance. Is BBMP draining rain water or clogging roads? A Bangalorean requests the High Court of Karnataka to resolve issues with storm water drains in the city. 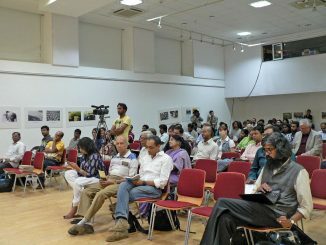 A panel discussion on World Water Day last week saw the doers share their experiences and ideas to resolve the water crisis in Bengaluru. There is some silver lining after all. A leading behavioural scientist and practitioner shares invaluable advice with parents on how to handle teenagers and help them grow into mature, happy adult individuals. Over two years, this RTI activist in Basavanagudi has tried to ensure BBMP follows due process while laying roads, even petitioning the Lokayukta. Check what BBMP is supposed to do. Cauvery Water in Bangalore was the first big step taken by the government to meet the growing water needs of the city. But that is not enough to solve the crisis now. Citizen Action Forum has a more sustainable approach. Could I help her fill in an application online for a teacher’s job? Yes, I agreed. Never realising what is involved in applying for this government job. What the BWSSB is doing is tokenism, piece-meal, ad-hoc and on “pilot” basis, says former top bureaucrat. 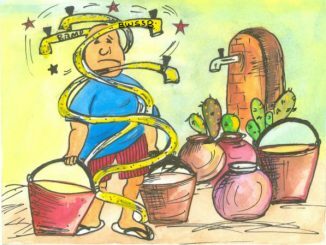 One the eve of another World Water Day, a multi-faceted activist shares some innovative ways of ensuring that water is available to all.